Racism, offensive, abusing, bullying or hostile attitude against admins or other members will not be tolerated. However, as this is the internet, do realize that there will always be someone somewhere who will say something that needles your side. Once or twice we all slip up, and that can be solved with an apology. However, repeated offenses will be taken seriously. Depending on the situation, you may be given a warning or be banned from the Kukuri-arpg for a month. If you keep repeating your offence, your Kukuris will be claimed by the group at the time of your second ban and put into the adoption center, and you'll receive ban or 3 months ban from the group. You may come back if you wish, but you will not get your Kukuris back, nor will you be eligible to adopt from the adoption center. █ At no point should you contact an admin privately about group related mechanics, plans or questions. If you have questions, please direct them to either Questions and Answers, or note the group about it. Respect an admin's privacy and off-time. █ The generally accepted waiting time for anything is a week. While we generally try to be faster, pestering admins about speeding up when the week of wait time is not fulfilled is not accepted. █ As long as your Kukuri has completed the Basic Trust Training (BTT), they can be bred and breeding slots to them can be traded, given, gifted or sold at any price you deem right. █ Do not sell nor accept any breeding slots unless the Kukuri's BTT is completed, with expection that those slots are directly sold for completing the training tiers. █ Even if Kukuri changes owners before a slot is used, the given slot will still be respected as long as it's already posted in the breeding permissions thread. If there is something what the new owner is unsatisfied with, they can send a message to the group to get the deal looked upon. However, first and foremost it is both the seller's and buyer's responsibility to tell and ask about all possible promised and used breeding slots. █ DO NOT RE-SELL, TRADE OR GIFT THE GIVEN SLOTS without the permission of the person who gave the slot, even if it was something you bought or traded. █ You may not hide or decline slots given in the breeding permissions thread. If you wish to take back the given slot, contact the group with a good reasoning behind the decision. █ Do not sell BTT training tiers before you have finished the first training (which must be done by you). █ You may not trace any designs of an another Kukuri. Kukuris have a wide range of markings, and we courage people to strive for uniqueness. While you are allowed to get inspirated by other designs, even by few parts of them, the whole design should still be unique and not look exactly like some other design. █ You own the design, and as such are free to re-use it for other purposes. However, Kukuris as species are ©Unikeko, so you may not sell a Kukuri-looking replica of your old design outside of the group. █ You may not trace your art submitted to the group. This rule is absolute. █ Using reference is absolutely okay and encouraged. Reference helps you learn, just make sure to credit any resources you use! However, to avoid any bad blood, avoid using other people's art as your reference. Not only will you end up repeating their mistakes, but there are bunch of people who do not take lightly to that. █ NSFW or otherwise mature art is accepted, but it must have the mature filters on. █ However, these kinds of arts will not be allowed: Blatantly sexual or pornographic images, no politic art, no racism, no illegal sexual acts, and nothing that seems to directly attack another member in a way or another. █ For literature, no plagiarism is allowed - as in copypasting text directly from published works or stories. █ No art work, pictures or stories alike, may be posted in Sta.sh. If you do not want them in your gallery, drop them in your scraps. The only exception to this rule is if the original artist has deleted the art from their gallery and you are required to safekeep it in your stash. █ Doing reference sheet of kukuri is okay, but do NOT portray the kukuri having something it doesn't have - a missing tail, markings, a ruffle, anything alike. █ Only repost an advertisement once per day to the group! █ We do not approve people underselling their works. Group has set a minimum price for fate points and activity rolls. At minimum an activity roll can be sold at 5$, if more kukuri of the same owner are included, every additional kukuri is +2,50$. For three kukus, that would mean full image is 10$. 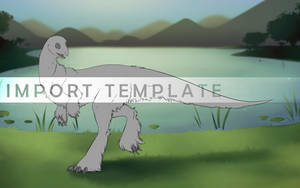 General minimum price for art sold is 5$, but for pure FP and sheets with re-used bases, the minimum price for each FP is 0,50$. Meaning 1 FP = 0,50$, 10 FP = 5$, 25 FP = 12,50$ and so on. █ Once a Kuku is donated to the adoption center, you cannot get it back. █ Only a person who does not currently own, and has never owned a Kuku can adopt from the adoption center. █ Adoption center Kukus cannot be resold - if you wish to part with them, they can be put back in the center for half the price. █ More of a recommendation than a rule: Screencap all your sales and purchases, just in case something goes wrong. We cannot act without a proof. The same goes if you are harassed in any way; save links, save screencaps. An offhanded rumor will be ignored. █ Co-ownership is not officially supported by the group. 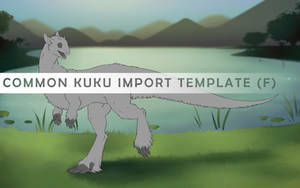 Only the owner officially listed in the import file has the legitimate rights for anything that is happening to the Kuku. █ If you wish to decease your Kuku for a reason or another, you may do that. The same goes for neutering, but do realize these actions are irreversible. █ If you wish to acquire blindness or deafness to your Kuku, you may - just remember to put a note about it on the message when you post the design approval. You will get the penalties what they cause, and these won't be inherited to any of the pups. █ You may only post advertisement journals once a day/24h, to avoid spamming the group. When you've sold, found, or otherwise closed the journal we recommend deleting it from the group to avoid any clutter in the sales folder. By joining the group you agree that you have read and accepted these rules outlined in this journal. Kukuris belong to Unikeko, the group creator, and they're not open species. This means you can't do kukuri OC without owning an official geno or import from the group. Yeah, unfortunately that is not possible, unless you get a official import or geno from the group. Kukuris are not for personal use only, they are part of the ARPG and should be used as part of it. Kukuris can't be made out from thin air either, they have to be rolled as pups from parents or bought as semi-customs from group.